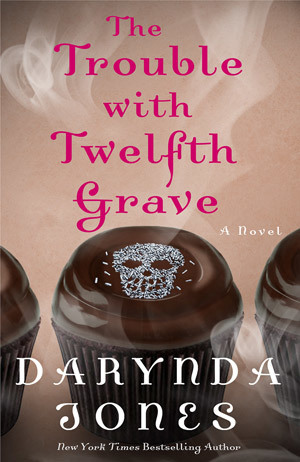 Summoned to Thirteenth Grave by Darynda Jones | Books, Movies, Reviews. Oh my! Thirteenth (& last!?!) 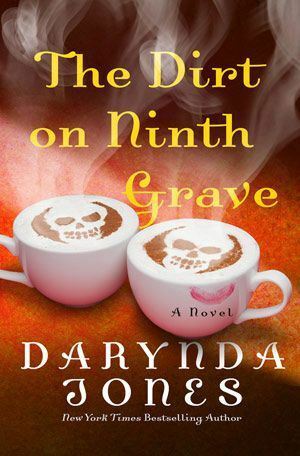 in the too-funny Charley Davidson urban fantasy series and revolving around a Grim Reaper of a god. 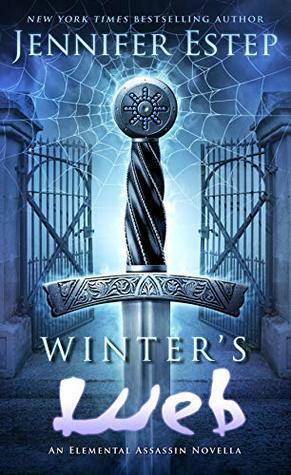 This eARC was sent to me by St Martin’s Press via NetGalley for an honest review. Just to set your mind at rest — I hope!! — I don’t think this is the complete end. It’s only the end of focus for Reyes and Charley with Beep’s story to come. Why do I think that? Because Jones is winding things up with a number of characters and prepping us with her future characters. Thaniel, anyone?? Her summing up about Quentin and Amber holds some promise as well. As for other side stories, I get Livia as she humanizes that treasure hunt, but what’s with Meiko and his case? For the rest, it’s so Charley. A girl who is half god, half Grim Reaper, and all snark. She cracks me up so very much, and while it has been a confusing ride at times in the series, I have been LMAO from the start. She thinks she’s been gone 100 years…it’s been 10 days, lol. Must be the coffee deprivation. And hungry. Dang it, all that talk about Reyes’ cooking had me drooling, requiring enchiladas and rellenos. It was that emotional hook at the start that pulled me in. I had no idea what was going on, and I needed to in this cozy, crazy read. It’s all about love and acceptance with a different perspective on dark and light, noting that we all have both within us. For a bit of controversy, Jones throws in religion with those awkward family issues with the much-fostered Reyes and his conflicts with his older brother, the matter of free will, and the question of the Vatican’s involvement. And Summoned to Thirteenth Grave warms with the focus on motherhood, as Charley receives directive to discover her very beginnings on earth even as she and Reyes are intent on protecting their own child. Jones ratchets up the tension with that deadline involving the hell dimension, not to mention the worry about Charley’s impending death! It certainly didn’t help knowing that my own optimism could well be wrong! Just keep in mind — never open a hell dimension. Imprisoned in a lightless realm, Charley agonizes over the prophecy facing her daughter, their daughter, hers and Reyes. Trapped, not knowing how her family, her friends fare. Meanwhile, the Hell dimension that was opened is infecting Albuquerque, the city a crazed mass of rioting, looting, destruction, slowly spreading to encompass the world. The key to stopping it is to discover how her mother died. And Uncle Bob lies to Charley. For the first time in her life. Charley “Dutch” Davidson is both the Grim Reaper and a god who is married to Rey’azikeen, a.k.a., the Hellmaker, a god and brother to Jehovah. Somehow, he was also Rey’aziel, a demon, the son of Satan, and a general in Lucifer’s army. He is also “Reyes” Alexander Farrow, who became human for Charley. Artemis is a ghost Rottweiler who has been protecting Charley. Gemma is her psychiatrist sister who fell in love with a patient (and cop), Wyatt. Aunt Lil, well a great-aunt, is a ghost as well who died in the 1960s at a hippie commune. Beep, a.k.a., Elwyn Alexandra Loehr, is their daughter, destined to battle Lucifer and is living with Reyes’ “real” parents: the Loehrs. The Twelve are a pack of hellhounds protecting her along with Mr Wong, the ghost who used to live in Charley’s living room; Donovan, Michael, and Eric had been part of the Bandits, a motorcycle club; Amador Sanchez was Reyes’ only friend growing up; and, Nicolette is a friend of Charley’s who can channel the departed before they depart. Garrett Swopes had been a skip tracer before he went to Hell. Now he’s a scholar and another of Beep’s soldiers. Marika is the woman who tricked him into getting her pregnant; Zaire is the result. Zoe is Garrett’s ex who has hooked up with Pari, an incredible tattoo artist. Osh’ekiel “Osh” is a former slave demon, a Daeva, who has been around for millennia and lives off the souls of others and who is destined to be the Warrior. Cookie Kowalski is Charley’s best friend and secretary. Amber is Cookie’s resurrected daughter. Charley’s Uncle Bob Davidson, a.k.a., Ubie, a detective, married Cookie. Angel is a thirteen-year-old gangbanger ghost who has assisted Charley with surveillance. Rocket is a ghost who writes the names of those who died on the walls of the abandoned asylum. Blue is his ghost of a sister with a ghost friend of her own: Rebecca Taft, a.k.a., Strawberry Shortcake, the sister of the missing Officer David Taft. Quentin is a deaf boy in love with Amber. Together they set up Q&A Investigations, their own private detective firm. Petaluma is their employee. During the week, he attends the New Mexico School for the Deaf and stays with Sister Mary Elizabeth on the weekends. Ghost Boy, a.k.a., Meiko, is five and remembers his mommy, Belinda Makayla Banks who had disappeared fourteen years ago. Molly is his older sister. Geri is Belinda’s mother. Thaniel Lee Just is a truck driver with too many back tattoos who works for Sundial Shipping. His mother had been Ilsa Blaine and his father was Richard Lund; both were patients in an asylum in the 1950s. Bella Lund was the sister who died from dust pneumonia. Jill the Giant was a fellow inmate. Nurse Hobbs was nasty. Carolyn is/was a patient of Gemma’s. Mary Schipplet went missing a couple weeks ago. Mark was stabbed to death. Dr Scott Clarke had been Charley’s mother’s ob-gyn. Gayle is his loved wife. Mrs. Barros is one of Charley and Reyes’ neighbors. Her Daisy has allergies. Pandu Yoso is a seven-year-old deaf and blind child who has written a children’s book about the First Star, the Dark Star, and Stardust. Pak Surya is his father; Bu Kasih is his mother. Livia is a Roman ghost. The Tonna is referenced by Mr Barilla, a Vatican agent. Val-Eth is the celestial language from Charley’s home dimension where she’d had the nickname god eater. Wraiths were Charley’s companions in her hell dimension, Marmalade. Captain Eckert is Uncle Bob’s boss on the police force. Wade Powers is the chief medical examiner. Special Agent Kit Carson is Charley’s contact at the FBI. Dr Nisha Dev is the spokesperson for the Center for Disease Control. Jehovah is Reyes’ older brother. Michael is Jehovah’s archangel, who is not one of Charley’s fans. Raphael is another archangel who failed his initial mission. The Shade is the Hell dimension Reyes created. It was supposed to stay in the god glass. A weapon, a prison made by God, the god glass can trap a god in another dimension. Zeus is a dagger that can kill a supernatural being. Earl Walker is the man who kidnapped Reyes as a baby and raised him, brutally. Hale Walker had been Walker’s biological son abd a classmate of Reyes’. Kim Millar had been Reyes’ sister. Fitzwilliam is Charley’s toothbrush. Misery is her Jeep. Danger and Will Robinson are her breasts. Thelma and Louise are her eyeballs. Betty White is her heart. And this is probably my biggest issue with Jones’ Charley…this mad need to name everything in her life! I so love these covers, and the series has been quite consistent with the bejeweled skull that shows up each time. 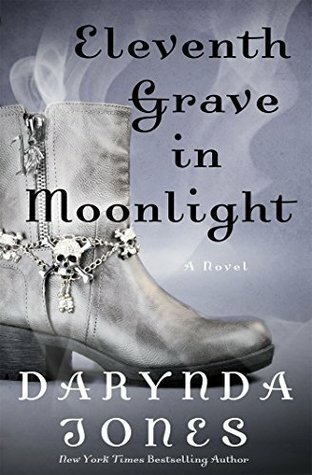 This one is the skeleton key, dangling from a thick silver chain through the author’s name in a very pale gray at the very top with an itty-bitty info blurb beneath it. The key draws your attention to the title in the lower half of the cover, also in gray. It’s a key that unlocks the truth against a bright blue and black background of swirling mists. The title is Charley, Summoned to Thirteenth Grave to embrace a little death. This sounds so fun. I have this series on my list to finally get started on this year.